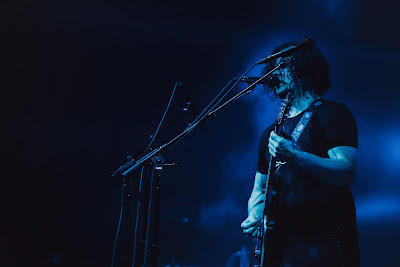 The last time Jack White visited Amsterdam you weren't allowed to take any pictures but this was hard to control then. At today's show taking pictures is not allowed again and you actually have to lock your phone in a special bag. I decided to leave my phone and camera at home for a night solely dedicated to rock music and off the grid. 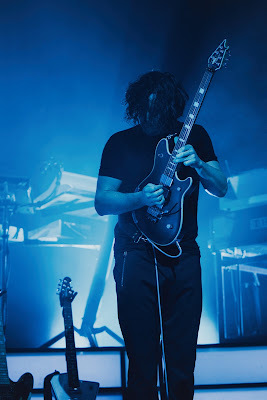 Of course I normally take pictures for this blog, so now I will use the ones provided on Jack White's facebook page. His new LP Boarding House Reach that sees him experimenting with different musical ideas, caused quite a lot of discussion where some people love it and others hate it. I really like the album and when you give it a couple of spins it gets better every time. When White and his band enter the stage they fly right into it with a ferocious 'Over And Over And Over' from that new album. What follows is a smooth running tight and vicious rock show with an energetic White who looks very focused and totally into it. You can see him smiling many times, obviously enjoying himself and pleased with how the night is going. And he has every reason to be pleased, because his band is playing exceptionally well. 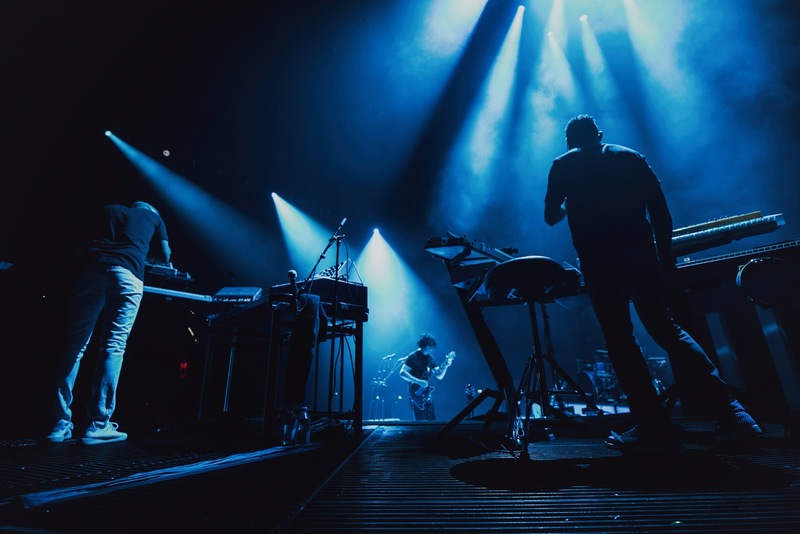 A tight grooving and fierce rhythm section combined with two wizards on keys are backing him up together with a lot of samples and sequences. Three large screens are set up to the back showing beautiful visuals. The screens can rotate and have lights attached to the back, which works very well. It is never overwhelming and is totally supporting the music. White himself is surrounded by several guitars and is smoothly changing them in between songs. This man simply is on fire with mind bending guitar solos and a strong voice. The show never slows down or pauses but keeps on going, only shortly interrupted ahead of the five song encore. It is an overview of his career with plenty of The White Stripes songs including fan favourite 'Hotel Yorba', an acoustic version and more mellow version of 'Fell In Love With A Girl' and plenty of his solo work. In the encore White slowly builds it up to the scorching climax of 'Seven Nation Army'. 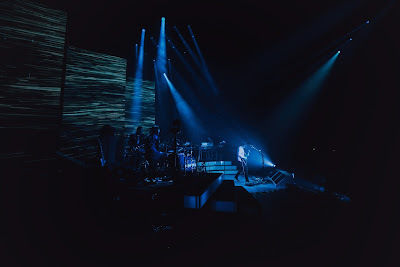 It was actually wonderful to experience a concert again without phones and cameras in the air, including my own camera and simply enjoy an incredible rock show. Thank you Mr. White!